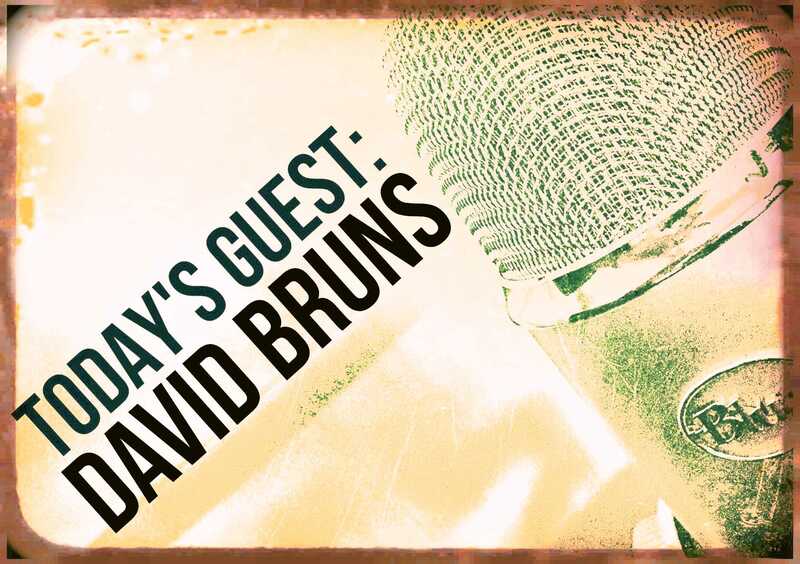 Today’s guest is David Bruns, the creator of the sci-fi series The Dream Guild Chronicles and one half of the Two Navy Guys and a Novel blog series about co-writing a military thriller. 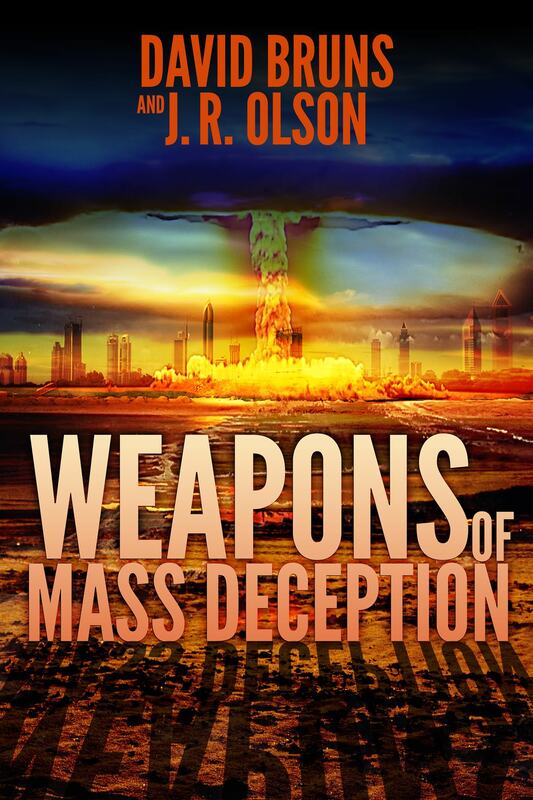 His latest novel is Weapons of Mass Deception, a story of modern-day nuclear terrorism that could be ripped from today’s headlines. David is a graduate of the United States Naval Academy, and he served six years as a commissioned officer in the nuclear-powered submarine force. After twenty years in the high-tech private sector, he traded in his frequent flyer cards for a career in writing. Connect with David on his blog, on Facebook, and on Twitter. StoryMasters is a 4-day intensive seminar on the craft of writing co-taught by Chris Vogler, James Scott Bell, and Don Maass, all well-respected teachers in the fiction writing community. Using complementary teaching and story-building techniques, the three “masters” each shared an entire day with us. Here’s a sampling of what I learned. 3. The Mirror Moment. A few weeks ago, as I was revising my own novel, I had a character that just would not cooperate. A writer friend read the manuscript and pointed out to me that my character lacked a “turning point.” It was true. I had done some great buildup and resolved things at the end, but completely missed the scene where she faces herself and makes the decision to change. In his book, Write Your Novel From the Middle, James Scott Bell makes the argument that the “mirror moment” is the place to start with your character. Until you decide how your character is going to change, you don’t really have a story to tell. I instinctively use a lot of the ‘conflicting emotions’ method – but I didn’t realize it until you mentioned it. Otherwise the scenes are flat, and nobody cares what happens, including the writer. Maass’ micro-tension method is my secret weapon. I don’t even start writing a scene until I’ve filled in my template for it – I list the 14 kinds of micro-tension he mentions in The Fire in Fiction, and answer for myself how each one might fit into this scene. Not to increase the length, but to beef up the bland pieces. Why do one thing with a passage when you can do two or more? Can’t physically do workshops – but the books serve as my boot camp. You raise a great point. Lots of times we do things instinctively and they work so we keep doing them, but never really delve into the “why.” The StoryMasters course helped to make me aware of what I was doing right and showed me some new techniques to try. Your micro-tension template sounds like a great tool! Thanks for sharing this glimpse at what must have been a very special conference, David. There’s an almost magical feeling, one that’s difficult to convey to those not there, about attending an event like this. I think it’s the intimacy and immediacy of it – the shared communion of experiencing it with others. And of course there’s the power of the enthusiasm of the presenters. I’ve been fortunate enough to have been “taken to church” by Don. Would love the opportunity to see this particular set of sermons. I got the impression that every Don Maass seminar is a little bit different. He lectured without slides and often with notes. I’d read his book 21st Century Fiction before the conference and wasn’t sure what to expect. The end result was a very personal workshop that gave me a LOT to think about. I was at the same conference, and have since recommended it to many of my writing friends. I’ve been spending the time since revisiting my manuscript looking for ways to improve my use of micro-tension, conflicting emotions and pet the dog moments. My recent “plunge” has been to hit the “submit” button. It’s hard to put my work out there, but my confidence has been building, and it turns out, it’s not as frightening a concept as I once thought. I recently posted a piece on my blog that was challenging and vulnerable. It turned out to be a good thing. Thanks, Dave, for the reminder of an excellent conference, and the excellent concepts I’ve been wrestling with since it ended. I just took the plunge with a WIP I’m writing now. The challenge was to plan every scene in advance. Not fully, just the mission. It wasn’t easy, but what I found is that I’m never at a loss what to write next. By doing this I can then concentrate on all aspects of scene construction like these excellent tips above — some of which I’ve never heard before. So I guess I’ll be taking another plunge. :-) Thank you for sharing these techniques! Thanks for the note. Getting the scene “mission” down is crucial–what Chris Vogler calls the “transaction.” FYI – another great resource for pre-writing planing is Rachel Aaron’s book “2K to 10K.” I think it’s 99 cents on Amazon and you can read it in a few hours, but it’s chock-full of great tips to me the words come out faster. I totally agree. I participated in a Storymasters seminar in Mpls and it blew me away. Jim, Chris and Don (excuse the familiar but these guys are informal and approachable) collaborate to create a terrific learning event. They’re each hugely gifted and their views and teaching methods work synergistically. The result is greater than the sum of each of their considerable teaching talents. The seminar also had a great vibe. These accomplished gentlemen are funny, bright and their passion and appreciation of story sets the tone. I’d give it six stars! The irony is that I LIVE in Minneapolis. The year that they held the seminar in Minnie, I was just starting out and didn’t attend. What a mistake–now rectified. Good to hear from you, Joni! David, what a nice post to find this fine morning. Thank you so much for the kind words. It is such a blast for me to teach with Don and Chris. It became clear the first time we did this that we complement each other’s content and style. And it’s fun just to hang out with each other and the people who attend…there’s always a good vibe going on. Thanks again, and good luck with the new novel. I think you hit the nail on the head, James. The chemistry between the three of you was apparent, but what I really liked was the fact that all of you approached story from different but complementary angles. Thanks for the great seminar and the new novel wishes. Thank you for sharing, David. This is a great refresher. Missed my annual craft workshop this month due to a bad cartoon fall (yes, recovering). Your post helped lessen the sting immensely. Thanks again and wishing you the best with your new novel. Glad I could help, Janine. David, what a nice surprise to see your post today. Just yesterday, my son and I were talking about myth. He wanted to watch Apocalypse Now and I told him how it was based upon Conrad’s Heart of Darkness, which brought us back to this workshop about story — aptly titled. I’ve been finishing up short stories and diving into a new project in a fresh notebook since the Storymasters workshop. It’s great having their collective wisdom and their voices prodding me on. So thankful they came to Charleston. Thanks for sharing these priceless techniques. My favorite one is “pet the dog”, and the “Hunger Games” is a great example. That connection between Rue and Katniss is something really pure and true. I’m so glad you reached out with this gem, David. It’s great to have you with us. Thanks! Thanks for giving me the opportunity, Therese! What a great forum for writers. These techniques should be taught to the sort of writers that Ray Rhamey highlights in his ‘Flog a Pro’ posts (most recently John Sandford). But Sandford & Co. don’t seem to need them to keep being represented by major literary agencies, to keep getting published by the big publishing houses, and to keep having bestsellers again and again. It’s always a bit disappointing when you find a brand-name author who doesn’t deliver the kind of writing you expect. I read through a few of the “Flog a Pro” posts today and was surprised by some of the examples. The reason I took the course in the first place was to improve my own craft. When I polish a piece I try to produce the very best work I can at that point in my writing career. Does that ensure commercial success? No, but it makes me feel like I’m being true to my own work. David, do you happen to know Rick Campbell? I can’t imagine there are many nuclear-submarine-trained ex-Navy writers in the world. At any rate, thank you for these tips. I’m familiar with some of them, having read Bell and Maass, but I love that transactional idea. Definitely would infuse a scene with energy. Thanks for reading the post. Can’t say that Rick Campbell rings a bell, but I’ll google him and see what pops up! Welcome to the growing list of excellent guests on WU! I enjoyed your article, which took me back to the day-long seminar on 21st Century Fiction by Don at the WU UnCon in November. Attending a conference on craft was one of my goals, too, and it looks like I’ll be attending another by summer’s end (the WD Conf in NYC). Maass and JSB are a couple of my gurus; I’ve not read Vogler, but his tips seem to fall in line with the other two. It’s all about the internal human struggle, isn’t it? Flesh those suckers out and make them pop off the page in 3D (with Technicolor and Surroundsound). Give the reader something (and someone) to really care about. Pet that dang dog. Save that mangy cat (do I really have to save the cat? But I’m allergic to cats — damn those secondary, conflicting feelings). Great job. Thanks for sharing your experience. If you get a chance to catch Chris Vogler’s seminar, you should do it. He’s much more old school hero’s journey stuff. When you overlay it onto JSB’s more analytical structural technique, the combo is very powerful. I would definitely take the StoryMasters seminar again. I’m sure I’d get even more out of it the second time. David, how I envy you. I would have loved being in that workshop, but circumstances would not allow. Thank you for sharing so generously and succinctly. Now I don’t feel so deprived. Stop! I’m blushing! Thank you for the compliment. Great post. I really liked the bit about micro tension. It really makes you think about every line you place on a page. The micro-tension part was the most eye-opening part for me and Don really did a fabulous job with talking through real life, on the fly examples. I also think that once you start doing it, it just becomes second nature. I think the key to all six, or at least what they try to create, is true characters placed in situations that build empathy and an emotional response from the reader. One thing I do to learn about individuals emotional and psychological worlds is to study psychology, especially where it concerns unconscious signs of internal pain and conflict and how people manage it, or fail to manage it. There are books that help, but as with most I have a therapist and I use that relationship to learn more about the internal lives of people. I’d never heard a term for the “pet the dog” moment before, but it’s often my favorite moment in books. Thanks for sharing what you learned!